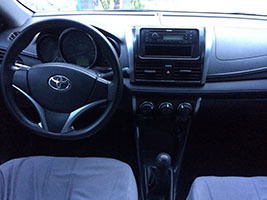 2015 Toyota Vios 1.3j with Manual Transmission is our cheapest rent a car manila. 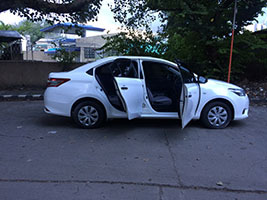 Perfect for those quick trip back and forth going manila to tagaytay or manila to batangas vise versa. 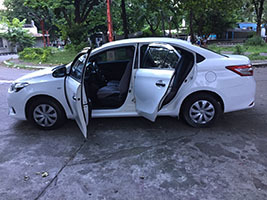 Rent a car manila whether for business, pleasure or just plain old road trips. 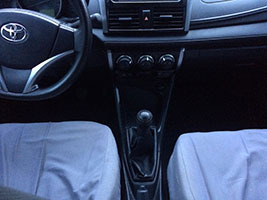 The perfect mixture of its fuel Economy and well round sturdiness is unmatched for its segment. That’s why its so popular among ts the most experienced of drivers. 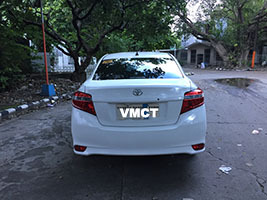 A mainstay in all types of transport as public utility vehicle,personal cars ,company services and now the transport network vehicle services or TNVS. ➥ early booking discounts: 5% Off for 30 days early reservation and up to 10% Off for 3 months early reservation with deposit. 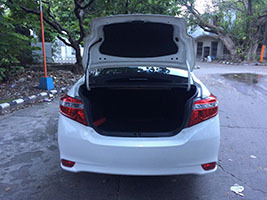 The Toyota Vios engage you with its simple design and is our most rented car yet. 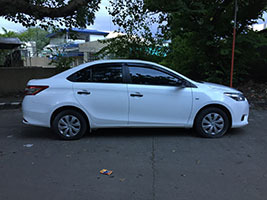 A Frequent choice by our clients.Mainly for excellent all round vehicle for city driving due to fuel efficiency and tested long trips.May it be up north to baguio and ilocos or down south to bicol and sorsogon . The driving performance realizes comfort that is smooth and worry-free, enabling you to drive as you want where you want. These low profile qualities bring a satisfying fullness in your experience. Like and share us on facebook https://www.facebook.com/carrentalinmanila/ for updates and promos. 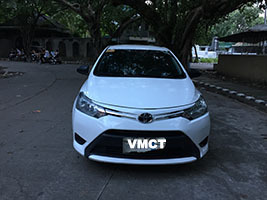 please offer a rate for Toyota Vios MT self driven for rent from October 9 morning to October 12 afternoon. Can I rent this car for a day starting 3am tomorrow? Good morning! Hi can you arrange me a rent for 5days? 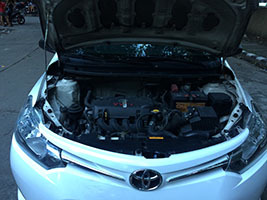 2015 toyota vios 1.3 Thank you very much! 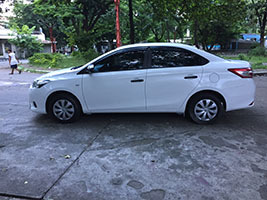 kindly click this link http://www.carrentmanila.com/car-rent-manila-inquiry-form/ and fill up our online form in the tab area so we can send a formal quote.